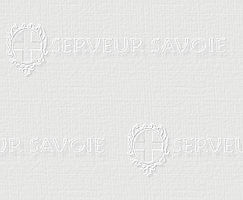 SERVEUR SAVOIE has been posting web pages on the internet since 1995. These pages describe Savoie's villages, culture, archeology, history, museums, castles, craftsmen, folklore and local language, among other things. SERVEUR SAVOIE has received the prestigious VoteNet award for its coverage of regionalist movements, been cited by both the local and national press, and linked to other web sites by such groups as Hachette-Travel . The site is now hosted by in Annecy; Alp-Link is a creator and host of web sites, and is the first in Europe to host sites illustrated with the brand-new IPIX&COPY; imaging technology. If you wish to contribute to this site, you can do so by becoming a SERVEUR SAVOIE partner. Partners are added to the Savoie - Haute Savoie WEBRING ! ! You are visitor No. (more or less) in some time.